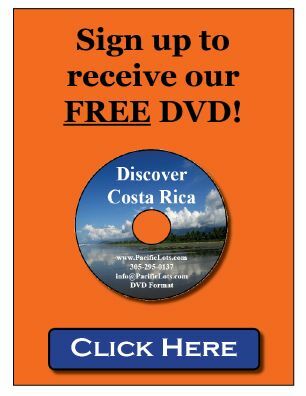 Come see what all the buzz is about Costa Rica. 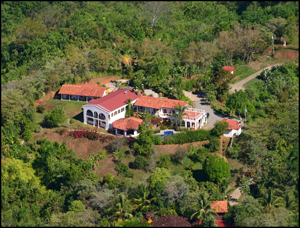 See why so many North Americans have retired there and why owning real estate in Costa Rica makes so much sense. Upon your arrival in Costa Rica the hotel shuttle driver will pick you up at the San Jose (SJO) airport and transport you to the Hotel Martino http://www.hotelmartino.com/. The Hotel Martino has an excellent restaurant for dinner, a spa and gym and is directly across the street from the bird zoo. You are responsible for any meals and beverages on the day of your arrival. (If you want or need to arrive a day or two earlier, we'll add the extra day(s) to your tour fee at the corporate rate charge of $105 including tax for each additional night). The morning after your arrival, we'll provide breakfast and then transport you to the Southern Pacific region and the development we represent. This is a 3 hour drive with stops along the way for bathroom breaks. We typically limit these tours to 10 people total, a mix of couples and singles, although occasionally we get up to 14 people on a tour. Upon arrival to our guest house you will be assigned a room. You will receive a complete price list of available home sites and information about our developments and purchase options. You may have time for a quick dip in the pool and a chance to mingle with your tour mates before lunch. We'll then serve a hearty lunch of natural ingredients (we ask you about any special dietary requirements on your visit application) before heading off for an afternoon tour, with emphasis today on examples of custom homes, construction methods and ideas on how to work with the natural contour of the land. You'll tour a variety of homes as well as visit a variety of houses we are currently building. Some lots will have ocean views, some will have mountain views, some with have both. Lot prices vary depending on the view more than the size. Our roads throughout the developments are gravel and quite steep in some places. We'll return to the guest house with time to relax before dinner, take a swim or just enjoy the fantastic ocean views. A gourmet dinner will be served and you'll have the rest of the evening to relax and enjoy the setting and the company, watch TV, read or perhaps play pool. We have wireless internet available at the guest house as well as a free Vonage phone for you to call home. You'll wake to the sounds of nature before joining the group for a delicious natural breakfast. Today we'll tour available lots in Ojochal and Chontales in a variety of our phases as well as any lots that have been pre-reserved by members of our group. Sometimes guests have pre-reserved lots to insure they get the phase or location they desire. You'll see ocean and mountain view lots. Some guests will walk lots they are interested in. Upon return to the guest house, you can take a swim or just relax in our huge covered gazebo. After another delicious meal, you can opt to continue to tour our lots or visit lots you might want to see again, take a tour of Ojochal; the beaches, area restaurants and a local shopping center or just relax by the pool if you prefer. After another great dinner experience, you'll spend the evening swimming, playing games or just relaxing while mingling with others in your group. A casual evening will end day two, while those who have made purchases will complete the necessary paperwork, discuss financing options, etc. We request that you bring a check for a deposit since we do not hold lots without a 10% deposit. You will begin day three with a tasty breakfast of eggs, fresh fruits, juices and homemade breads. After breakfast we'll load up the luggage and head back to San Jose and should arrive around noon. We ask that you don't book your return departure from San Jose before 9:00 pm to allow for any delays we might have. If your flight home is not until the following day we can make suggestions on where to stay at a hotel near the airport for around $100 that offers airport transportation and breakfast. We provide you with a price list of available lots upon arrival and let you be the judge of the value. No sales pitch or presentation will be made at any time during your stay. We need no sales presentation since our property sells itself. When you see the beauty of the area, the magnificent views, the infrastructure provided to each lot, the exceptional value and the homes we've built for existing customers, you'll understand why our property sells so quickly. Our custom home building service is unmatched and an incredible value. If after reviewing our properties, you are interested in purchasing, someone will be available to assist you with the details. If not, no problems. If you have already reserved a lot, you will have the option of keeping that lot, or trading your deposit to another available lot of your choice. Many of our clients prefer to reserve a lot prior to their arrival since there are only a limited number of lots that feature the very best in ocean or mountain views. Bring your checkbook since each phase of our developments has sold out quickly and lots available today may not be available by the time you return home. If you purchase a lot during your visit to the guest house, we discount the lot $1000 to cover your airfare and travel expenses. The Hotel Martino features a nice spa, gym, pool, restaurant, bar, walking trails, internet and more.